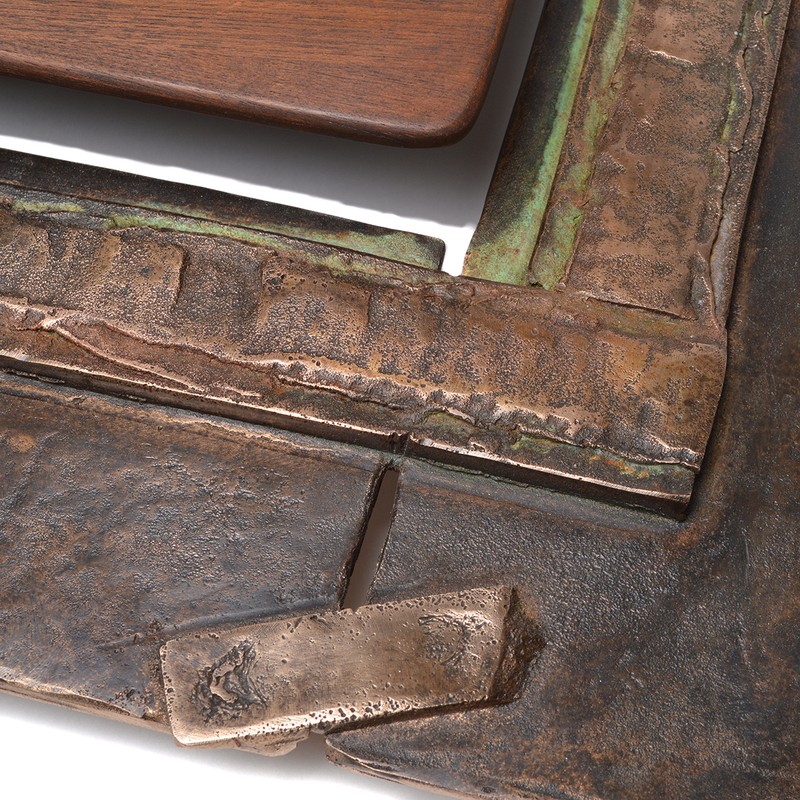 Unique serving tray made through collaboration that defies time and space. Aren’t we always collaborating with the dead? 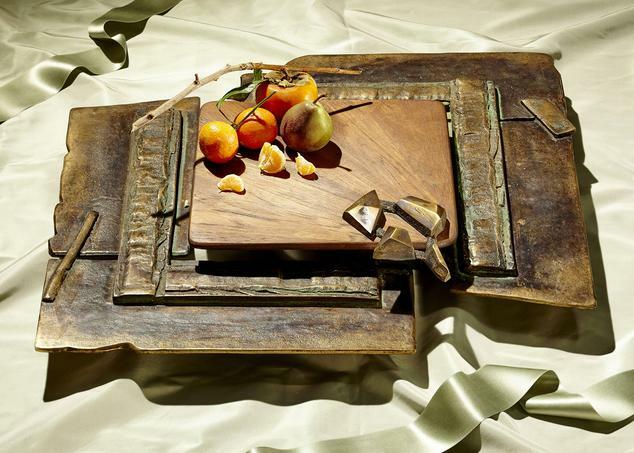 The Offering is a unique serving tray designed by Los Angeles sculptor Chuck Moffit that frames Moffit’s bronze work around a removable wooden board crafted by the late master woodworker Arthur Espenet. A collaboration between Moffit and a key influence, the work manifests a broader inquiry on how we’re inspired to build off the work of previous generations.